two days ago this amazing man of mine turned a half century old. he was a little funny about this birthday. he couldn't even decide what he wanted for dinner. he was specific about the cake i was to make. and, mini chocolate chips on top. i made cupcakes with the leftover batter. fifty things we love about him. we could have gone on and on. 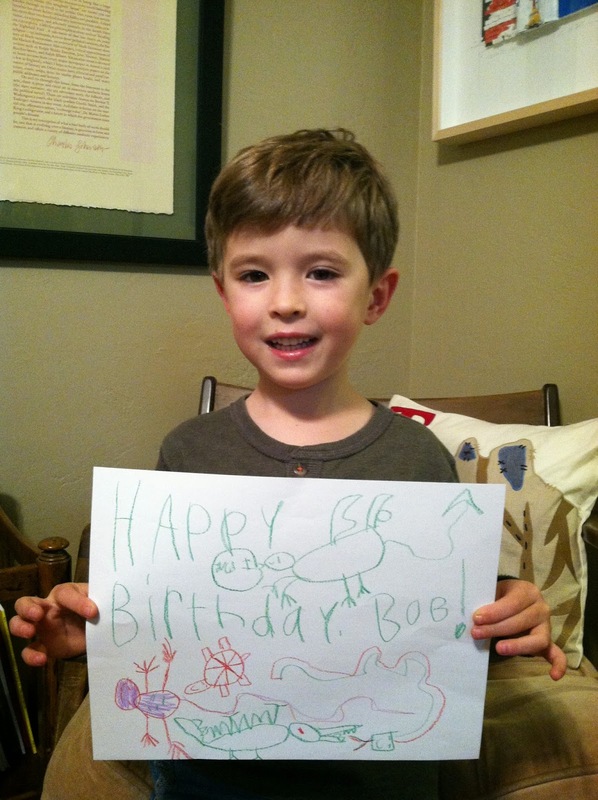 he even received a special message from this little guy. all in all, i think he had a good day. he relaxed a little and worked a little. my parents came over bearing gifts and my mom sang her birthday song. we showered him with as much as love as we could muster. i love this man with all my heart and soul.